Available during the band's 2008 USA tour. Recorded live (partially?) at Dogs Bollix in Auckland, New Zealand on February 15, 2008 prior to their gig in support of Sonic Youth. Artist name appears as "Ðæð Ĉë." 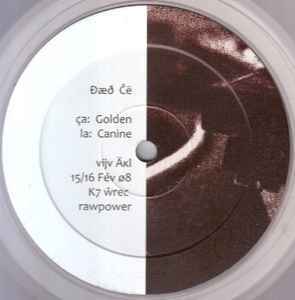 12" label reads "vijv Äkl 15/16 Fév ø8 K7 ŵrec rawpower." Durations not included on label.